Let your creativity and imagination bloom with this beginner's Weaving Loom from 4M! This kit contains everything needed to create three coasters and a mobile phone bag. You won't believe what you can weave! 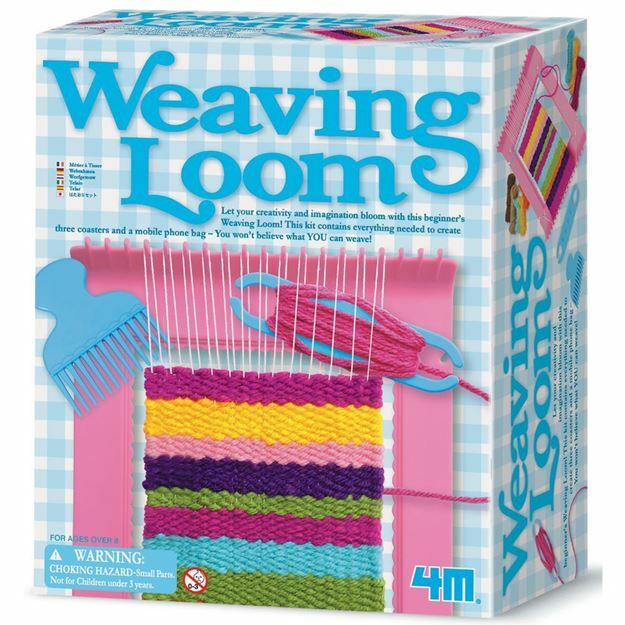 Includes: a weaving loom, plastic needle, weaving shuttle, weaving comb, different coloured yarns, warp string and detail instructions. Age 9+ years. Distributed in New Zealand by Holdson.